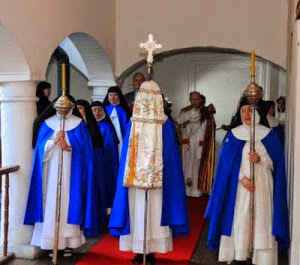 (Quito) Between 1582 and 1634, the Mother of God and Virgin Mary appeared to Mother Mariana de Jesus Torres, a cloistered in Quito, located in today's Ecuador. The Blessed Virgin foretold to the nun, the devastation caused by the Freemasonry in the 20th century. The present capital of Ecuador, San Francisco de Quito, where Mother Mariana de Jesus lived and had the visions, was founded in 1534 by the Spanish. Ecuador made at the time of Mother Mariana de Jesus founded its own Audiencia (Provincial administration) in 1563 within the Spanish Viceroyalty of New Castile (Peru). 1577 brought five Spanish Sisters of 1484 by the Holy Beatrix da Silva Meneses in Toledo, founded in 1511 and recognized by Rome as the Order of the Immaculate Conception of Mary, better known as Conceptionists to San Francisco de Quito on to found the first convent in America. 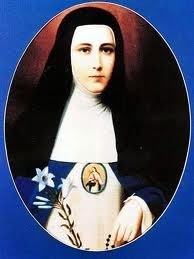 Mariana de Jesus Torres was one of the young religious women. 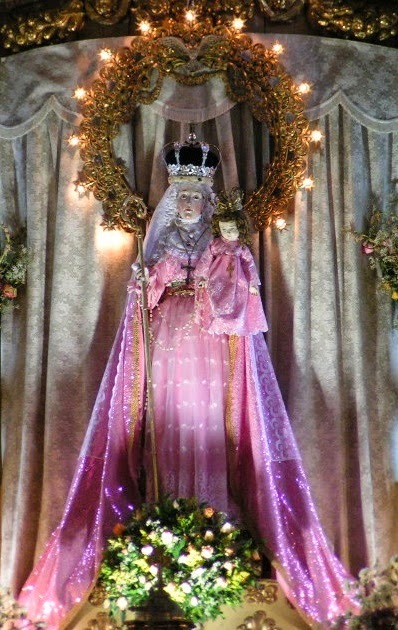 In the apparition of January 16, 1599 the Mother of God urged her to create a statue exactly in their own image, which was finally consecrated by the Bishop of Quito on February 2, 1611. The statue has since been revered as "Our Lady of the Good Success of Purity." Mary is holding the infant Jesus in her left arm and her right a crosier. The Mother of God prophesied to Mother Mariana de Jesus that the Catholic Church would haunted by the influences of the devil and described these future events in all their details. For the 20th century, she announced to her a great apostasy and many heresies that would obscure faith. But Mary also predicted that those who remain faithful to the faith and honor with contrite hearts the Mother of God, would receive grace and forgiveness for all sins. Our Lady said: "The consoling name, 'Mother of Good Success' will strengthen the faith and protect it against all kinds of heresies and errors, lurking around in the 20th century." In Ecuador and Spain, the Feast of Our Lady of Good Success is celebrated on February 2. On this day, the Feast of the Presentation of Jesus in the Temple, better known as "Candlemas", was the Mother of God appeared Mother Mariana de Jesus, accompanied by the Archangel and St. Francis of Assisi. "Because in this poor country there will be a lack of Christian spirit, the Sacrament of Extreme Unction will be hardly noticed. Many people will die without receiving it, either through the negligence of their families or because of their false feelings because they want to protect the patient from seeing the true seriousness of their situation, or because they are driven by the malice of the devil, rebelling against the spirit of the Catholic Church. So many souls of countless graces and consolations will be deprived and the force they need to make the great leap from time to eternity. " "The sacrament of marriage, which symbolizes the union of Christ and His Church is attacked and profaned in the fullest sense of the word. Freemasonry, which will be at that time in power, will enact evil laws with a view to abolishing this sacrament in that it is made ​​easy for everyone to live in sin and the procreation of illegitimate children will be encouraged without the blessing of the Church. The Christian spirit will rapidly fade as the precious light of faith goes so far that it almost comes to a complete and general decline of morals. " "The effects of secular education will increase, which will be one of the reasons for the lack of priestly and religious vocations." "The Sacred Sacrament of Holy Orders will be ridiculed, oppressed and despised." "The devil will follow the priests of the Lord in every possible way and will proceed with cruel and subtle ruses to dissuade them from the spirit of their vocation, and many of them will perish. These corrupt priests who will be a scandal to Christians, will cause the hatred of the bad Christians and the enemies of the Catholic and Apostolic Roman Church will fall upon all the priests." "This supposed triumph of Satan will bring the good shepherd of the Church great suffering." "There will be almost no more innocence in the children, nor shame in women and in this moment of great need for the Church, those who should speak will remain silent. "But you should know, beloved daughter, if your name is made known in the 20th century, many will not believe and affirm that this devotion is not desired by God. "The secular clergy will leave much to be desired because priests will be careless in their sacred duties. Without the divine compass, they will depart from the path marked out by God for the priesthood and depend on the goods and riches." "The Church will have to suffer a lot in this dark night! In the absence of a Prelate and Father to guide them with paternal love, gentleness, strength, wisdom and prudence, many priests will lose their spirit and bring their own souls in great danger. This will show the hour of My coming. " "By gaining control of all social classes, the sects will try with great cunning to invade the heart of the families and destroy even the children. The devil will boast to feed with insidiousness on the hearts of the children. The innocence of childhood will almost completely disappear. Thus, the religious vocations will be lost. And that will be a real disaster.The religious will give up their sacred duties and leave the way God has marked for them. " "Satan will gain by the errors of the faithless people in control of this earth, which will darken the sky like a black cloud on the Res Publica consecrated to the Sacred Heart of My Divine Son." Our Lady of Good Success, Fatima, and Guadalupe are the top-3 Marian apparitions, IMHO. Read this excellent Chiesa Viva article: "Our Lady Condemns Freemasonry." The real 'trick' with the Masons is how they conceal their membership - by denying and lieing. Intelligence agencies and the police have dealt with this 'technique' by organized crime inside government and even themselves by having continuous monitoring and investigations by their internal affairs departments. The polygraph, wiretaps, warrants to search etc.. with charges overhanging to elicit cooperation. All these methods should be used by Church at every level starting at the top - the college of cardinals, then all the bishops right down to the Parish council level. This is what is needed. Gradually an intelligence picture can be built up which should be made known to the public, just how extensive the masonic network was. It is not hopeless. The Priesthood doesn't deserve any special consideration, if they are Masons and Priests then they have already chosen what side they are on. Masons harm non-masons, they trade on information to gain advantage for their network, they create careers. Forget about the theology of it, just deal with them and everything else will fall into place. The present and previous Pope should be challenged, if they refuse the 'test' then out the door! Surely the proof of Our Blessed Lady's forecast is in the number of children born outside of the sanctity of marriage & now we have heard that IVF is to be provided on demand for lesbians. Surely their choice of this lifestyle precludes them from motherhood?